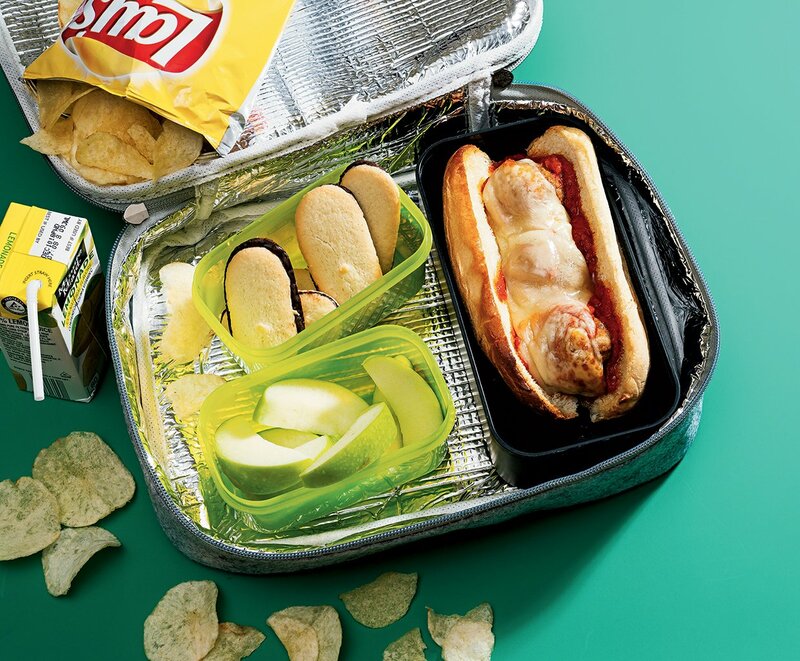 Look inside these creative lunchboxes (and you’ll wish you were a kid again). 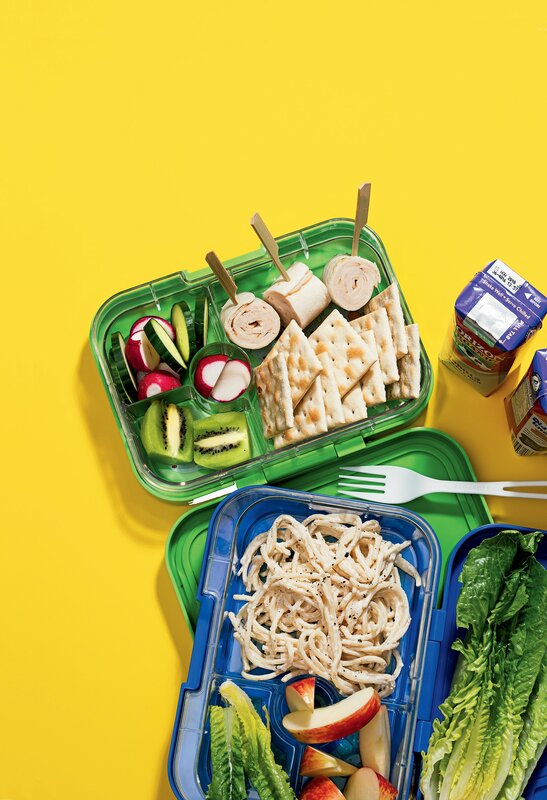 Chefs and restaurateurs are just like any parents—they want fill their children’s lunchboxes with healthful, delicious food (that their kids will actually eat). That being said, they often get a little more creative with their cooking, sourcing, and presentation. 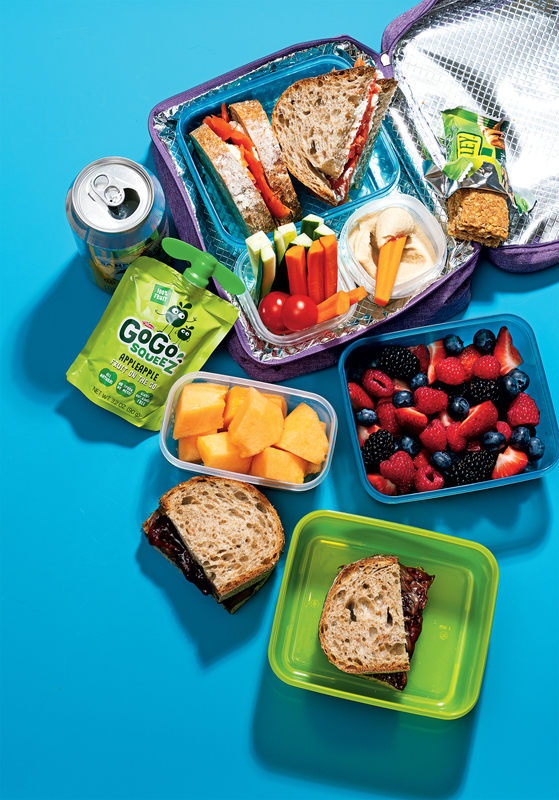 We asked nine restaurant industry families to let us look inside their lunchboxes. Javier Candon, owner of Ser and Joselito, and communications strategist Christiana Campos. Lucas Candon, 12, and Luna Candon, 8. Diane Gross and Khalid Pitts, owners of Cork Wine Bar & Market. Marley Pitts, 7, and Alexa Pitts, 5. Marley, who decided he was vegetarian at age three, gets a Nocciolata-and-fig-preserves sandwich on Lyon Bakery rustico bread. The chocolate-hazelnut spread is like Nutella “but organic and not made with all the bad oils,” Gross says. Bonus: It’s higher in protein. As an alternative, Marley sometimes gets high-protein Barilla bow ties with pesto. “I’ll chop up arugula in it so he has extra veggies and doesn’t know the difference,” his mom says. Mike Friedman, chef at the Red Hen and All-Purpose, and Ashley Friedman. David Guas, chef/owner of Bayou Bakery and Lil’ B, and Simone Rathlé, publicist. Kemp, who competed on Chopped Junior, often makes his own sandwiches. A favorite: a sub with turkey meatballs from Bayou Bakery, plus tomato sauce and provolone. “Kemp gets tired of the standard cold cuts,” Guas says. “He’s a sauce guy—he loves to make different sauces and concoctions.” He’ll also take along Lay’s potato chips and thin-sliced green apple, plus mint Milano cookies for dessert. Christophe and Michelle Poteaux, chef/owners of Bastille Brasserie. Marie Poteaux, 8, and Julien Poteaux, 6. Julien leaves with a pizza made with organic Aldi tomato sauce, “pepperoni smiles,” and kalamata olives. 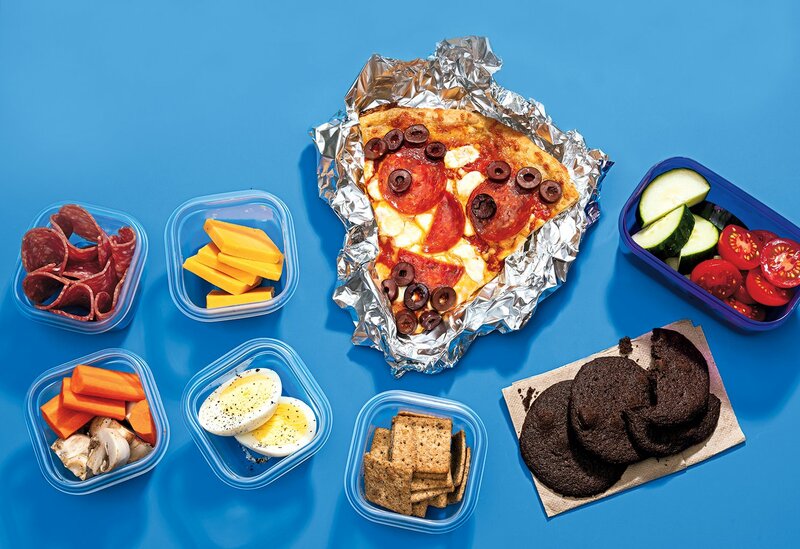 To drink, there’s lemonade or limeade—“just citrus juice, simple syrup, and water.” Marie likes things deconstructed, so she gets homemade Lunchables with stacks of salami, extra-sharp cheddar, and Aldi black-pepper crackers. Chef Cathal and Meshelle Armstrong, owners of Kaliwa and Society Fair. Eamonn has been cooking since eighth grade and now makes his own lunches. “I try to cook things that are good-tasting and healthy,” he says. 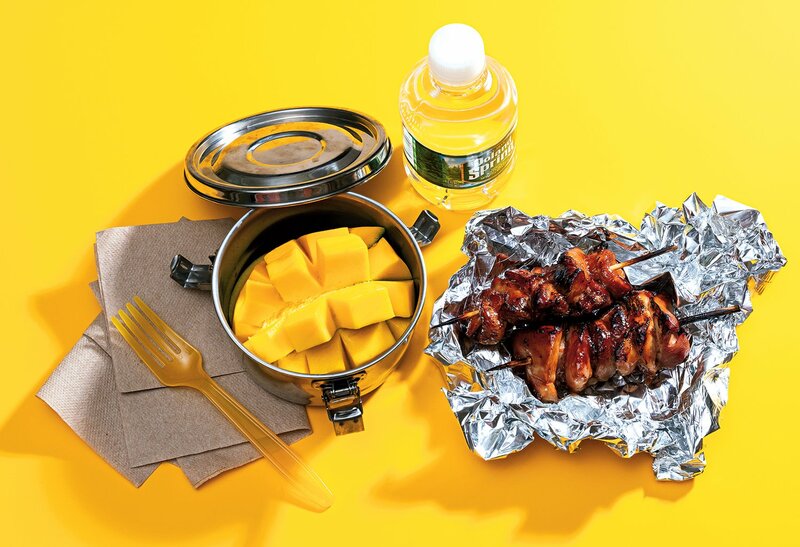 His Filipino-style chicken skewers are marinated in soy, garlic, and Sprite. “I try to steer clear from soda, but you get a nice smoky-sweet, tangy flavor.” He likes mango on the side. 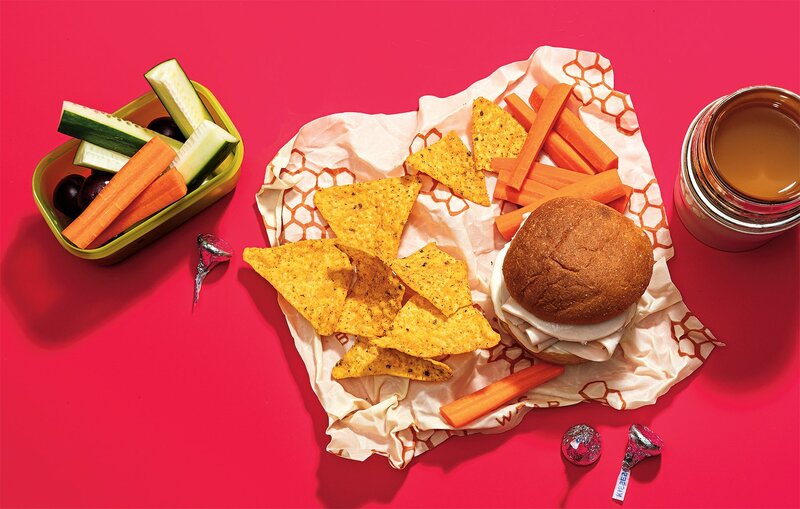 Food and Prop Styling by Lisa Cherkasky.